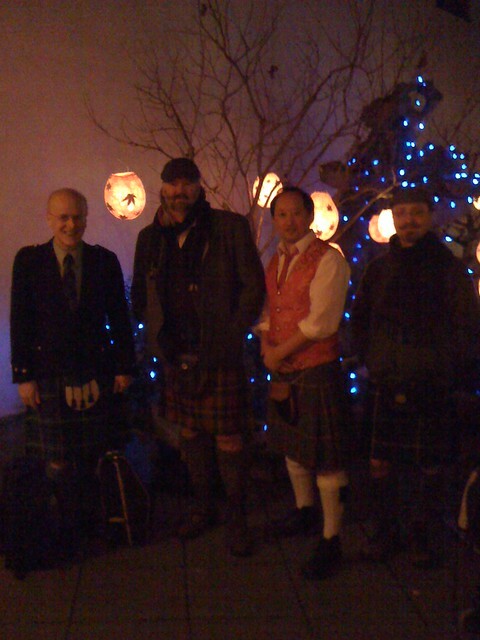 Happy Hogmanay – May Auld Aquaintance be naught forgot…. borders and we can freely share and partake of each other’s cultures. same but especially to ensure that they aren’t paying anymore interest. 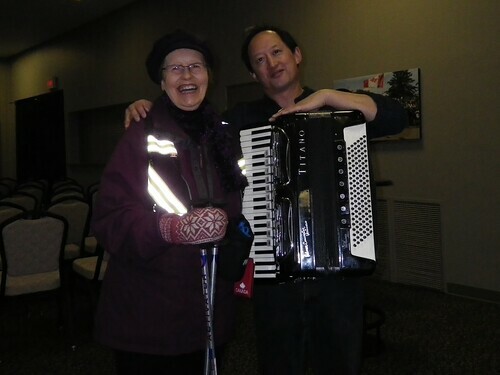 Only 36 hours ago, I put my accordion in the car, along with skates, wine, camera, etc… and I hit the road to meet up with Deb and her parents in Vernon for a White Christmas. This is now the 10th year I have come to Vernon. It was an easy drive up the Coquihalla Hwy. It started snowing lightly in Hope, but there was some sunshine past the former toll area up to the Connector summit, where there was more snow and minus 7. Then it got foggy and more snowy, so we all drove more slowly. It is rreat to be back at Kalamalka Lake now – but we usually swim only in the summer in July and August. There can be snow on the Coquihalla at Easter or Thanksgiving or Remembrance Day weekends. I usually come to visit at least 3 or 4 times in the year. Sometimes twice in the summer. I love the Okanagan now, especially in the summer. It’s hard to believe that when I was 11 to 13 years old, our family used to come to Vernon to spend a week’s vacation at Silver Star for skiing in February. Our parents would take us out of school for a week. I learned to ski really well. The last time we came to Vernon was when I was 16 years old. I never ever saw Vernon or the Okangan Valley in the summer time. (sigh). I have more than made up for it now. The lake is so peaceful in the winter. All the loud motorboats and sea-dos are gone. I love Kalamalka Lake in the winter too. Fiddler on the Roof is known as a 1964 hit Jewish Broadway musical that won 9 Tony Awards, while the 1971 film adaptation wan 2 Oscars and 3 Golden Globe Awards. I grew up playing the songs on my accordion, because my mother used to listen to the movie soundtrack while I grew up in the 1970’s. “Sunrise Sunset” and “If I Was a Rich Man” are great songs to play on the accordion, as well as “My Favorite Things” and “Edelweiss” from the musical The Sound of Music. But instead of thinking that this musical was about Jewish people, I found myself thinking of the similarities to the Rogers and Hammerstein musical “The Flower Drum Song” which was about Chinese-Americans dealing with a clash between generations in San Francisco, which had recently been performed in Vancouver and Richmond by Vancouver Asian Canadian Theatre. Fiddler on the Roof deals with universal themes of family, love, generational divide, while addressing racial discrimination and anti-semitism. David Adams is brilliant as Tevye, the family patriarch. He has a full rich voice and presents a warm humane character that struggles between his own ambitions singing “If I Were A Rich Man”, as well as the balance of “Tradition” with his wife Golde (Patti Allan) and letting their daughters be happy, and be empowered to make their own decisions about love and life, or not. It is a time of social and political changes in Russia, and there are hints at the changing times and what this will mean to the small Jewish village. A teacher named Perchik (Gaelan Beatty) comes to town, telling the villagers about what is happening in other cities. Tevye takes a liking to the young man and barters with him to help educate his children. This sets the wheels in motion for the challenges to the family in this musical. Perchik bring knowledge of the outside world to the village, and falls in love with the oldest of Tevye’s daughters Yenta (Barbara Pollard). The stage is simple, but works well. The raised platform with doors, acting as either a village yard or the inside of a restaurant or house. The musicians in the live pit orchestra are wonderful, led by music director Allen Stiles. I especially the clarinetist, as it squeaked and bent the musical notes so I could really imagine a Jewish klezmer band coming alive with each song. During the intermission, I was surprised to learn that my violinist friend Mark Ferris was playing in the pit orchestra, so I sent him a text about the clarinetist, who replied “Thanks” to my compliment. The Gateway Theatre always employs great local musicians for their productions and the feedback is always genuine when I hear how much they are enjoying themselves. The direction and cast are good. There is strong acting from all the characters, but especially from Tevye’s three daughters and his wife. Unfortunately, not all the actors have strong singing voices, so the use of microphones changes the ambiance levels and can be a distraction. The action and the dialogue flows smoothly, and I found myself smiling a lot. It was a real pleasure to see the dancing in the musical. I don’t know how accurately traditional it was but it felt authentic. And the dancing at the wedding of Perchik and Yenta is one of the philosophical turning points in the play. The choreography is by Dawn Ewen, who is originally from Scotland. I enjoyed Fiddler on the Roof, and was personally surprised to learn how much Jewish culture I have been recently learning, especially since I attended a friend’s Jewish wedding 2 years ago, and my partner got to hold one of the poles of the happa – a suspended cloth canopy held up over the bridal couple during the ceremony. Having this personal experience, as well as knowing that I have so many friends of Jewish ancestry, whose own daughters are marrying into different cultures, just made this musical all the more real and poignant for me. for the 2013 Gung HAGGIS Fat Choy Robbie Burns Chinese New Year. 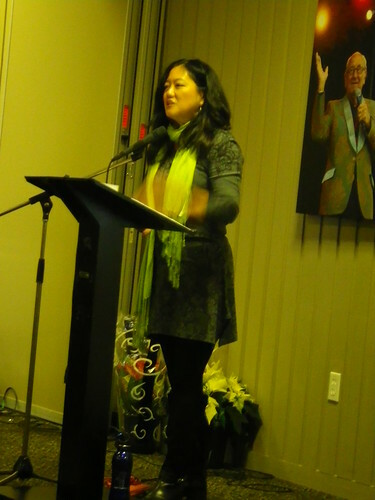 is now through Ricepaper Magazine – We thank Firehall Arts Centre for helping us with ticket sales for the past few years, but are now trying to do it in-house at Asian Canadian Writers’ Workshop / Ricepaper Magazine. Please check out Firehall Arts Centre for the great multicultural programming that they do. 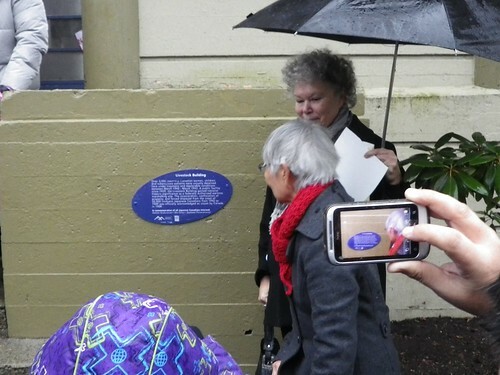 celebrating Sir James Douglas, the father of BC and first governor in 1858. Each ticket includes $5 service charge. You can purchase ticket online or over the phone with a credit card, please call Kristin Cheung at Ricepaper magazine at 604-872-3464. 2012 PERFORMERS TO BE ANNOUNCED SOON! In 1998, “Toddish McWong” held a small private dinner for 16 friends with food, haggis, poetry and songs – from both Scottish and Chinese cultures and thus was born – Gung Haggis Fat Choy – Now it is a dinner for 400 people! More than a traditional dinner with music and poetry. 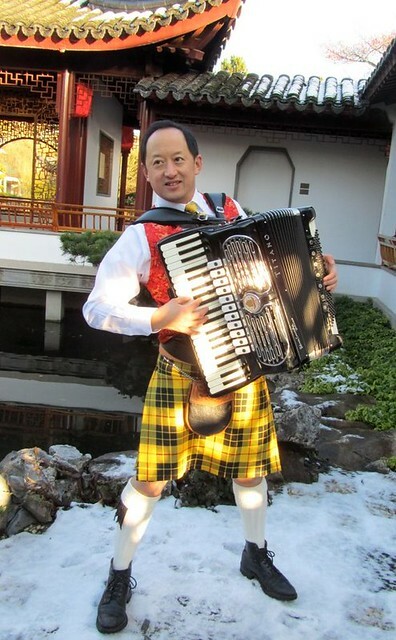 Gung Haggis Fat Choy re-imagines a traditional Robert Burns Dinner format, within a BC or Canadian historical context that puts Scottish-Canadian and Chinese-Canadian pioneers on an inclusive and equal platform, while acknowledging historical racism and how we move beyond it. This event has grown to also celebrate contemporary Scottish-Canadian and Chinese-Canadian artists and poets and their innovations to create something uniquely Canadian, and a heckuva lot of FUN! 2003 – 1st Creation of deep-fried haggis wonton, and we move to Flamingo Restaurant on Fraser. 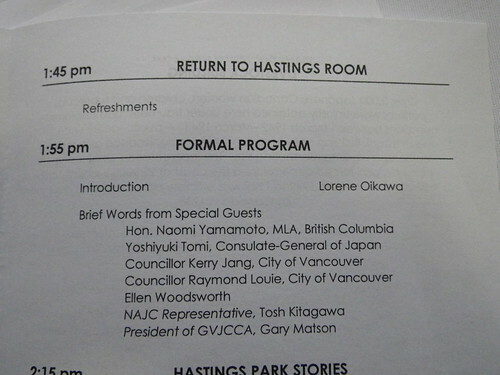 2005 – 500 attendees and we move to Floata Restaurant in Vancouver Chinatown. 2008 – Toddish McWong photo in BC Canada Pavillion during Beijing 2008 Summer Olympics. 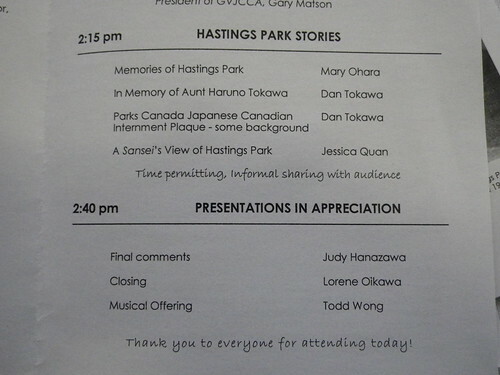 Writers: Joy Kogawa, Fred Wah, Brad Cran, Larissa Lai, Rita Wong, George McWhirter, Jim Wong-Chu, Lensey Namioka, Fiona Tinwei Lam. Film makers: Jeff Chiba Stearns, Ann-Marie Fleming and Moyra Rodger. Deep-fried haggis wonton + haggis pork dumpling (su-mei) and appetizer courses. “Neeps” served Chinese style in the form of pan-fried turnip cake, dim sum style. Traditional haggis is served with Chinese lettuce wrap. And we always feature fun sing-alongs such as Loch Lomand, My Chow Mein (Bonny) Lies Over the Ocean, and When Asian Eyes Are Smiling. Lots of surprises… such as new for 2012 – a revamped version of Robbie Burns lyrics set to Johnny Cash or Elvis Presley music. 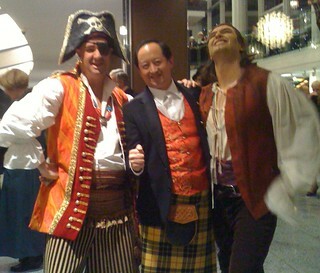 Pirates were roaming the Queen Elizabeth Theatre in the lobby, prior to Vancouver Opera’s wonderful production of Pirates of Penzance. I went on Tuesday evening and the crowd was still buzzing from Saturday’s opening. It was a lovely touch to have some of the chorus members interacting with the audience prior to the show. Gilbert and Sullivan is not often performed by serious opera companies. 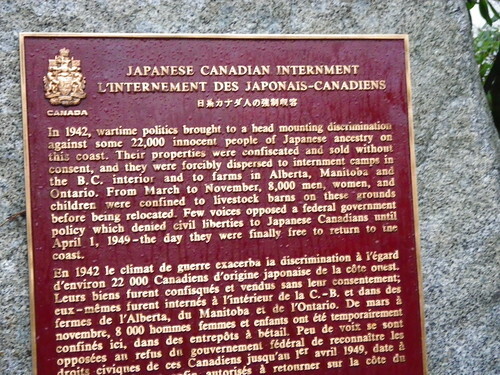 And to me, it often represents Victorian colonial values, which I have tried to rebel against in the quest for post-modern multicultural Canada. But Pirates of Penzance was also written as social satire, critiquing the values of the day. And with more multicultural inclusion of global pirates such as Chow Yun Fat in the Pirates of Penzance: End of the World movie, I think I can allow myself a little more enjoyment. This version of Pirates of Penzance is a lot of fun! The cast and the orchestra are having fun. We know this because the pirate king pointed his pistol at conductor Jonathan Darlington, who also during the final applause sported a pirate hat. And the audience was having fun… there was lots of laughter from the audience at appropriate moments, as they followed the actors and staging. If you remotely like Gilbert and Sullivan – you will love this production. 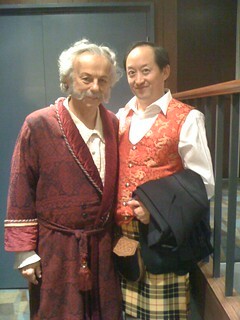 If you have never before experienced G & S, then you will like this production. If you were not raised in a country of the British commonwealth, then you will learn about the culture and history of the realm, and understand better about British humour, the evolution of British Music hall tradition and Broadway musicals, and maybe why the sun set on the British empire. The program notes are by my former English teacher from Capilano College Graham Forst, who now teachers literature, philosphy and opera history at both UBC and SFU, and just happens to be married to opera star mezzo-soprano Judith Forst, who plays “Ruth” in this production. He dares the audience to not leave the theatre humming some of the songs for this light opera. Most G & S productions I have seen are usually by small or amateur opera/theatre companies. So to have Vancouver Opera give Pirates a lavish treatment on the huge stage is a wonderful treat. But then to ask Vancouver’s celebrity and theatrical Shakespearean star actor Christopher Gaze to pay Major General Stanley, and ask him to direct – is an opportunity for both the audience and Gaze, who said he “jumped at the chance. Christopher Gaze was a wonderful and the very model of a modern major general, as Major-General Stanley. We congratulated him on his performance following the show. Karen Cho’s new movie about Feminism, “Status Quo?” won the top documentary prize at Whistler Film Festival on December 2nd. 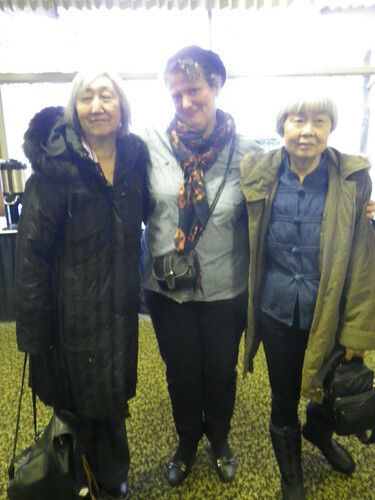 I initially met Karen probably around 2004 when she brought Shadow of Gold Mountain (2004) to Vancouver. 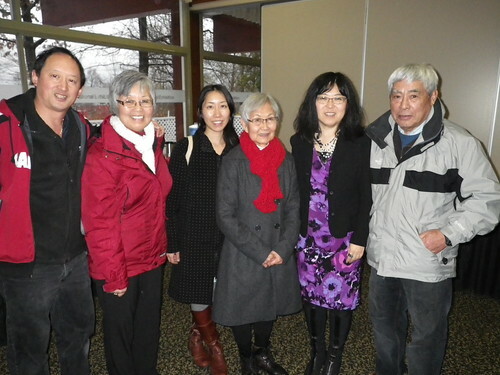 It is an extremely moving documentary about the Chinese Head Tax Survivors and descendants,and questioned how one side of the her family (white) could be given free land to come to Canada, while the other side of the family (Chinese) would be charged a racist head tax and denied citizenship. 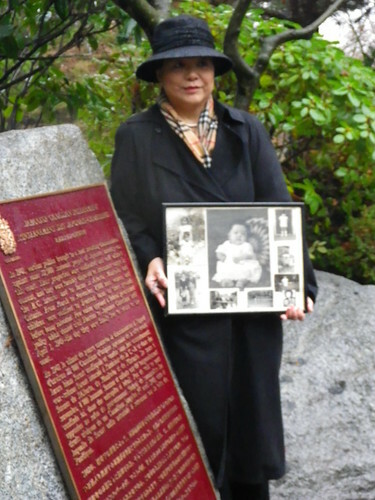 It also features interviews with my friends: activist Sid Tan, WW2 Veteran Gim Wong; and recently deceased Charlie Quon – the first person to receive an ex-gratia Head Tax Redress payment after the Canadian government apologized in 2006. Read Craig Takeuchi’s story in the Georgia Straight.